I have a disease. I’m afraid it’s terminal. I’m a fan of AMD. This won’t impact my reviews, but it does play into the things that I want to do with computers. 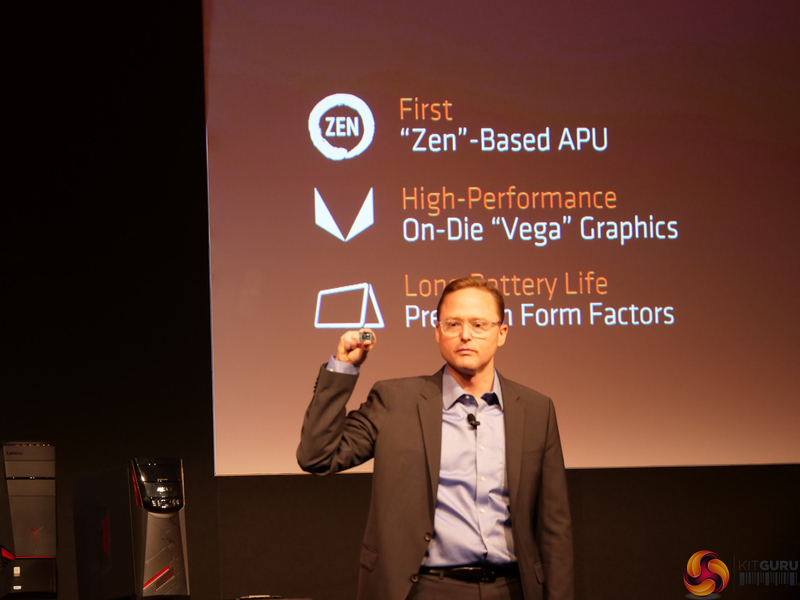 AMD had their press conference last night, and it is extremely exciting stuff. Seeing them have competent CPUs with the Ryzen range is great, but the things I’m really and truly excited about are their R3 (code name: Raven Ridge) line of APUs (Advanced Processing Units). It’s really exciting stuff. AMD’s APUs just mean that they have graphics hardware built in – if you were to buy an R5 or R7 CPU, then you would need a dedicated graphics card to get any display out of it. Just the way it is. This is in contrast to Intel CPUs which usually have an integrated graphics solution so you can get your display out of the machine and…you know…work with it. Since AMD purchased ATI in 2006, the APU has always held a certain amount of promise. ATI (now-ish, kinda? RTG [Radeon Technology Group]) made high-end desktop graphics cards, AMD made (and make again!) high-end desktop CPUs. AMD are the only company that do both, and the promise of the APU has always held my imagination for getting an “acceptable” level of gaming/rendering performance in portable and ultra-small form factors. Outdated semi-custom APUs power both the Playstation 4 (and 4 Pro) and Xbox One (and Project Scorpio). There are tricks that these consoles & developers use that aren’t always available on PC, but here and in the forums I plan on exploring that. That second point was more-or-less understood, but it is important that we know about it. We may be seeing a comfortable lower bar for gaming in these form factors, especially with the Freesync/2 ecosystems in place. In the forums and here, I do plan on expounding on these and doing some projects to try and see if we can get some really and truly low-budget but adequate gaming ecosystems out there. Can’t wait to see what projects these things bring up! And we still have a few more days of Computex!